I'm Frankie Edgar, Former UFC Champ. Got Any Questions For Me? 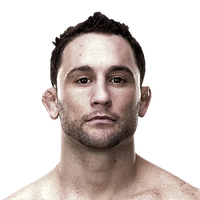 We're joined by Frankie Edgar, currently the no. 3 ranked featherweight in the UFC, a former lightweight champion, and a seven-time Fight of the Night winner. He's in the comments below, ready to answer your questions about whatever's on your mind.